A look at the commercials Bob Giraldi has directed over his 20-year career is perplexing for the compulsive labeler. His signature style does not rely on a single technique, such as a shaky camera, or genre, such as dialogue. In fact, Giraldi is an adman for whom a large-enough pigeonhole has not yet been built: award-winning agency art director and creative director, music video and feature film director, patron of New York’s School of Visual Arts, mentor to several people who have now established careers in commercials, restaurant owner, and, of course, commercial director. There are two trends that run throughout these accomplishments, however—loyalty and pride. Loyalty has insured that Giraldi never left his advertising roots despite success in very different realms. Loyalty has also kept Giraldi in business with Phil Suarez, his partner of more than 20 years. And pride, both personal and professional, has put him at the top of his craft and helped to keep him there throughout changes that have tripped up many of his contemporaries. It is this loyal adherence to, and pride in, some very simple credos that are the secrets of Bob Giraldi’s success. His work today boasts a wide range, from the clinical reportage of a public service campaign for Mothers Against Drunk Driving, to the moody atmosphere of figure skate Kurt Browning for Diet Coke, to the historical emotion of a NYNEX spot set on Ellis Island. The common threads are storytelling and superb production values, the former in short supply these days, the latter not often found so consistently. That underscores, in fact, what Giraldi sees as the single biggest change in his career. Those roots were established during Giraldi’s early days in Paterson, New Jersey, where he was born in 1939. Because of an artistic aptitude discovered early on and encouraged by his mother, Minnie, Giraldi grew up attending oil-painting classes on weekends, and obsessively playing sports when he wasn’t in front of an easel. In fact, Giraldi has the distinction of being one of the only art students ever to attend Pratt Institute on an athletic scholarship (baseball and basketball). Upon graduation in 1960, Giraldi, like generations before him, headed west. The journey, however, progressed only as far as Detroit, where he became a graphic designer at General Motors, working in an experimental group that designed collateral and other two-dimensional materials. It was a short stop, and Giraldi moved over to Campbell-Ewald in Detroit as an assistant art director. “I didn’t want to go home. I was having too much fun,” he remembers. But fun in the Motor City paled in comparison to the fun Giraldi’s college friend, Ron Travisano, promised him if he moved back to New York and came to work at Young & Rubicam. Travisano’s fateful call extolled the virtues of a new Y&R creative director named Steve Frankfurt, whom Giraldi describes as “the single biggest influence on me in my early years as an art director.” It was Frankfurt who gave him his first lesson in pride—a quality Giraldi thinks he shares today with a lot of other people who love the business. It was also during this time that Giraldi became involved with the School of Visual Arts. “I was asked to teach by my friend, artist Marshall Arisman—like a billion other guys. I liked it so much that I eventually toyed with the idea of giving up my agency career.” Giraldi quickly became chairman of the advertising department, and two years later, SVA director Silas Rhodes asked him to become assistant director of the school. Fortunately for his directing career Giraldi was fired from SVA during the Vietnam War protest years, which hit SVA and the whole advertising community hard. Since then, he has served on the school’s board of directors and in 1981 directed and produced a film, “Burnt Umber,” for SVA’s recruitment program. Meanwhile, television advertising was taking off and changing the agency creative business. ‘Im one of those guys whose career started when there was only print. And then came television!” But it didn’t take much time to master the new medium. In 1970 Giraldi left Y&R to join his old friend Travisano at Della Femina, Travisano & Partners, where he became co-creative director with Steve Gordon, and head of television production. While there, he began to direct some of his own work, gathering awards for Channel 7 Eyewitness News, H&R Block, Fuji Film, and the Hemophilia Foundation. The next meeting between the future partners was slightly more propitious. Giraldi and Suarez put away the rough talk and got down to business. “I knew Phil was an up-and-coming artists’ rep and he knew I was burning to leave the agency and start directing. It was a natural,” Giraldi explains. “Athletes have that thing between them,” he laughs. In 1973, after a brief tenure at Elbert Budin’s Ampersand, Giraldi and Suarez founded Bob Giraldi Productions, since renamed Giraldi Suarez Productions. They have won well over 300 major advertising awards, ranging from ADC Golds to Addys to Clios to Andys to One Show Golds to International Broadcasting Awards to Cannes Gold Lions. 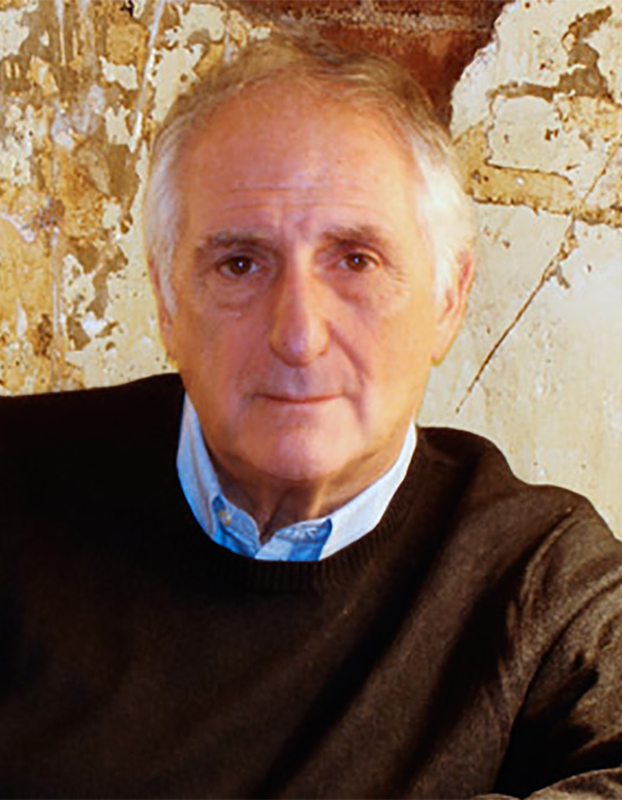 Giraldi was the first to direct commercials for Broadway, creating spots for hits like A Chorus Line, Evita, and Dream Girls. He directed Pepsi’s original campaign featuring Michael Jackson and Lionel Ritchie, and most of the spots in the longest-running successful ad campaign of all, Lite Beer from Miller. This year three of his commercials were awarded Clio Classic Awards: “Brother-in-Law” for H&R Block, “Night Baseball” for General Electric, and “I’m Stuck on Band-Aid” for Johnson & Johnson. Nowadays, the European market has a growing interest in Giraldi. He was recently awarded the Italian Key awards for his spots for Uniform Jeans and Eni, Italy’s largest energy company. Then there were the music videos. Giraldi and Suarez brought in producer Antony Payne, founded GASP, and made history with Giraldi’s clip for Michael Jackson’s “Beat It” from the Thriller album. “I really fell in love with that song because it was the antithesis of everything I grew up with, that tough neighborhood macho garbage,” Giraldi explains. And then followed “Say, Say, Say” with Paul McCartney and Michael Jackson, “Hello” and “Running with the Night” with Lionel Ritchie. “It was the beginning of the video craze and it turned people’s lives around. Music videos brought McCartney’s career back, made Lionel Ritchie a household name.” Giraldi went on to direct videos for Diana Ross, Earth, Wind & Fire, Daryl Hall and John Oates, Jermaine Jackson, Jean-Michel Jarre, and Pat Benatar. During these years, Giraldi continued his teaching in the form of training many people who started out at his production company and went on to build their own successful careers. Many of today’s agency heads of production, executive producers, and directors of photography—Bob Fisher, Bruce Martin, Tina Raver, Chris Meltesen, and Darek Wolski, to name a few—started out at Giraldi Suarez Productions. The pride Giraldi takes in his craft has also inspired his children. Bob, Jr. now works in the advertising department at Nike and Theresa does the majority of her father’s makeup work. Maria chose Chanel over what seems likely to become the fam¬ily profession. There’s that loyalty to commercial making, again. And there’s the pride. The two certainly seem to be working for him.